We, the undersigned parliamentarians, are deeply concerned by recent revelations from the 'Paradise Papers' investigation. We regret that some governments, not least the British government, have failed to learn the lessons from the previous 'LuxLeaks' and 'Panama Papers' scandals. In particular, we are concerned that insufficient progress has been made to ensure that investment vehicles like trusts are sufficiently transparent. We are also concerned that tax havens, like those involved in the Paradise Papers, have been able to continue with highly opaque company and trust registration models. It has also been disappointing to see some countries try to block measures against tax havens like the EU's blacklist of tax havens. We call together for all governments to place renewed emphasis on tax transparency and fully implement Public Country-by-Country Reporting. In particular, we call for information on trusts to be made publicly available, and for all tax havens to be forced to automatically share information with international tax authorities. We also call for stronger regulation of intermediaries, including penalties for those proven to be involved in tax evasion, aggressive tax avoidance or money laundering. Failure to act against aggressive tax avoidance and evasion is depriving public services of desperately-needed funding. It also enables some multinational companies to unfairly undercut many small and medium-sized businesses. 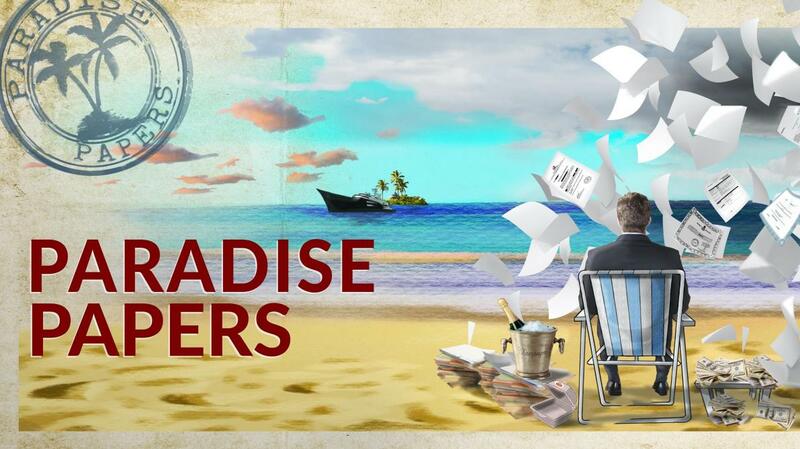 The Paradise Papers must act as a wake-up call to deal with industrial-scale tax dodging, once and for all. I have also co-signed a similar letter drawn up by former the Prime Minister, Gordon Brown.